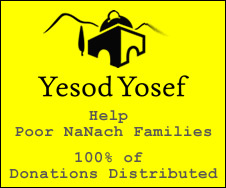 The other day I posted a link to an article about Nanach, and although it didn't get the attention other articles earned, B"H there was a good response, which led the publisher to post one of the responses (it seems that the responder knew about the article not from us): http://mysticalpaths.blogspot.com/2011/01/na-nach-response.html which gave me the will to finally get involved and leave my own comments, although I'm still not upto correcting and clarifying all the issues (the above response did set alot of things straight B"H, I'm not sure, but I seem to recal that she had some good comments in previous such cases, excelling at keeping the peace and pushing the truth), anyone who's really interested in the truth can draw from many lucrative, insightful, and commanding articles that have been published on nanach.net and are available at nanach.org. I read the article on Mystical Paths, as well as your response. I don't believe that the article was negative, because it inspired me to come looking for this website to learn more about Breslov and Na Nach.